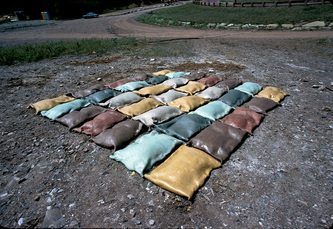 Thirty-five pillow-like squares of different colors of unfired clay, each about 3’ x 2’ make up this natural blanket of rich earthen colors. 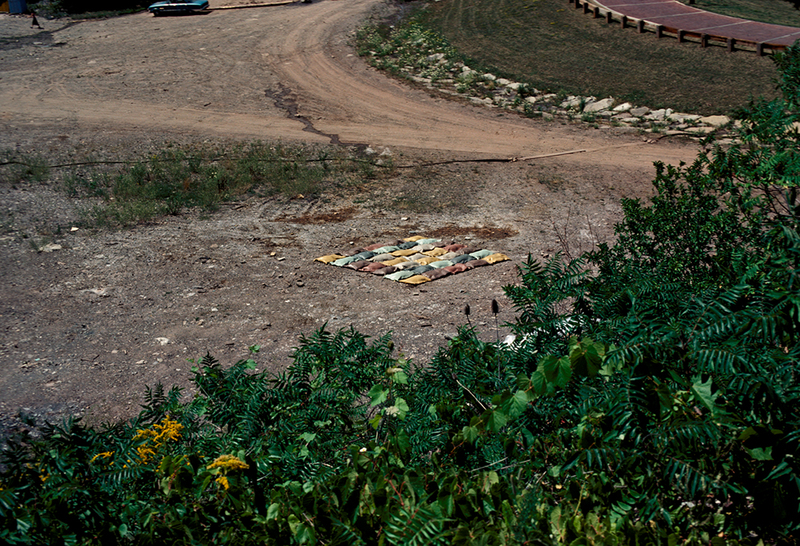 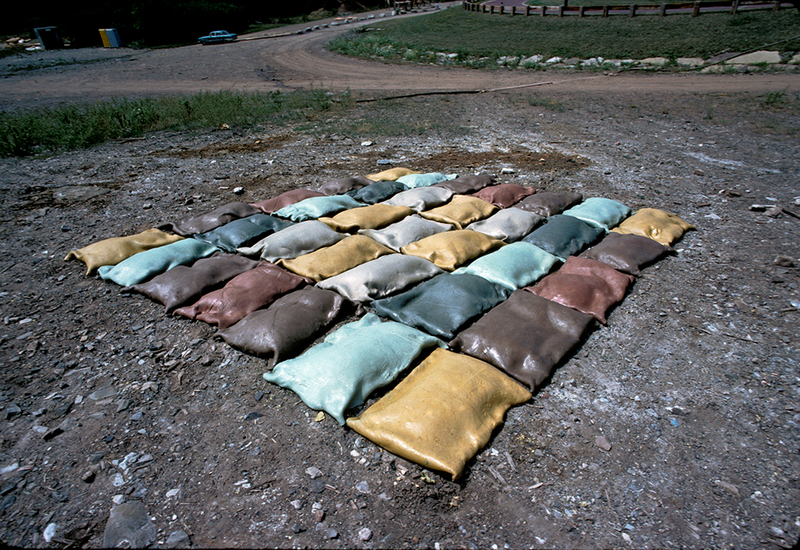 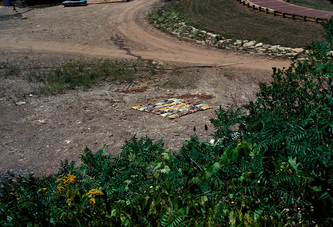 The earthen quilt covered a section of a site at ArtPark that was formerly a chemical dump and where the area was littered with residues of sulphur, iron, copper and other waste, which oozed from the ground in a whitish, salt-like residue. 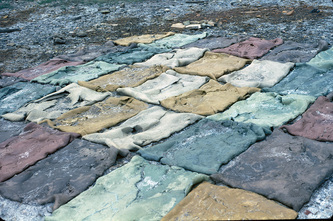 The clay was unfired to allow for gradual deterioration into the ground. As the clay weathered it flattened and changed color and texture, lightening and hardening in the sun, darkening and softening and slowly dissolving with rain, and eventually resulting in puddles of color as the ground absorbed it. 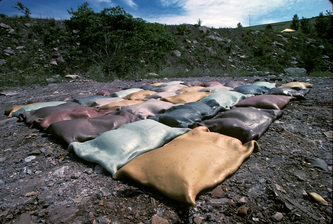 The colors of the clay were chosen and formulated to match the existing colored oxides in the chunks of rock and stone in the Niagara Gorge about 100 yards from the site of the piece. All colorants used to mix the clays are natural metal oxides derived from the earth, including: yellow ochre, copper carbonate, manganese dioxide, red iron oxide, chrome oxide, and an unaltered grey-white clay body.